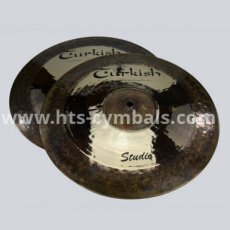 Studio cymbals are not only very interesting visually but sonically as well. 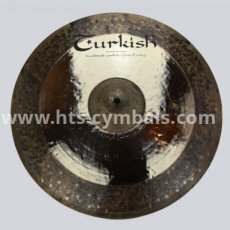 The outer 2” circle of the top is deeply hammered, unlathed and left in raw condition. 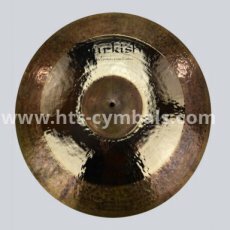 This hammering process allows the sound to open more slowly when struck, producing a more defined note with good sustain control. The rest of top surface is lathed and polished to a brilliant finish. The bell instead is raw with no visible hammer marks. 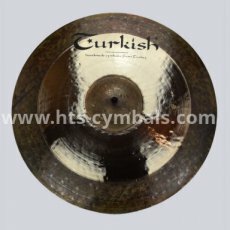 The bottom of the Studio cymbals are lathed and completely brilliant.